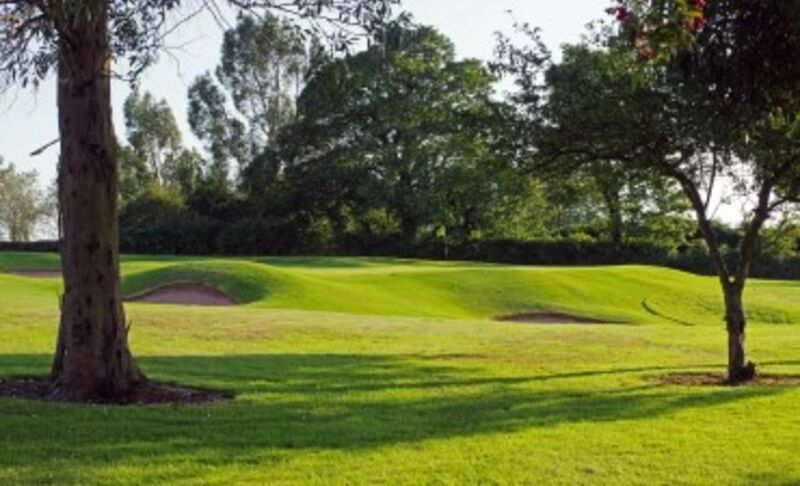 Radyr Golf Club was founded in September 1902, with Lord Windsor, who donated the land for the new course, as President and the Reverend W.E. Shaw as the first Captain. W.B.Fernie, the professional at the Glamorganshire Club was engaged to lay out the course. 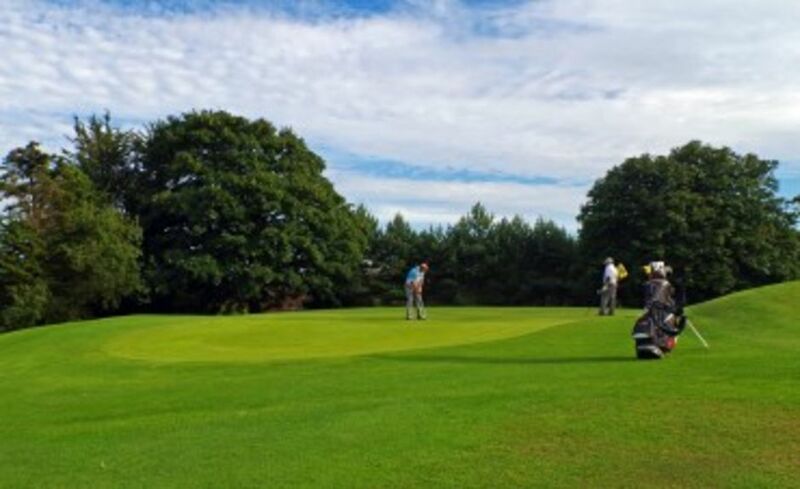 The clubhouse was bought and transported from the then defunct Llanishen club and sited at the top of the hill on the present practice ground. Astonishingly, within just three months, the full eighteen holes were laid down and the course was ready to play in February 1903. David Tate was appointed the Club's first professional and just six months after its formation, Members were playing the first competitions, including the Hosgood Cup and Charity Bowl. It was significant, too, that the Ladies section was formed virtually alongside the Men's. Following their inaugural meeting in early 1903, Mrs Tregethen Dunn was appointed the firstLady Captain and Mrs. Beatrice Warren the Honorary Secretary. 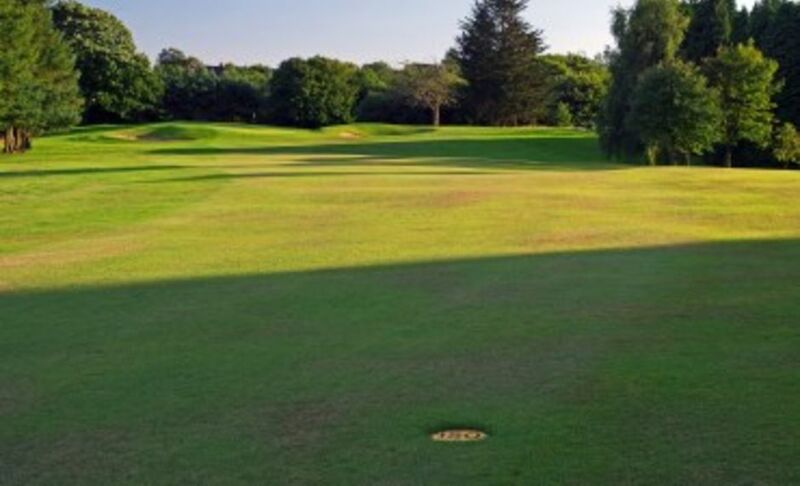 In less than two years the stature of the Club had grown to such an extent that, in July 1904, the first ever Welsh Professional Championship was held at Radyr on the day following a visit by the three greatest players in the world at that time - Harry Vardon, James Braid and J.H. Taylor. Vardon and Braid played a second exhibition match at the Club in 1908. In September 1907, H.J. Marjoram was appointed the Club's new professional, a position he held for 33 years until his death in 1940. His workshop was in the bungalow on the right hand side of the car park, and one of his main jobs was to make golf clubs for the members. The Marjoram Putter is one of the main men's competitions today and the trophy is a putter which Marjoram made himself. On 23rd September 1909 a devastating fire completely destroyed the clubhouse and many valuable artefacts. It was replaced by the present club house on a new site on Drysgol Road. Many adjustments were made to the course during the first ten years, but it was the inspired appointment of arguably the greatest golf course architect, H.S. Colt, in 1912 which was of huge significance. Colt transformed the course into the wonderful playing challenge it remains to this day. The club house became a focal point in both World Wars. In 1914 a guard room for the local militia was established and in 1918 an explosives store was built near the spinney to the right of the present 7th tee, where the remains can still be seen in the trees. However, it was the lady members who made the greatest contribution caring for injured soldiers in the club house. Between 1940 and 1945, the clubhouse was requisitioned by the War Office and was used by the Home Guard. The 11th, 13th, 16th and 17th holes were ploughed up to grow wheat and part of the 9th was used to grow potatoes. After the Second World War, Radyr continued to grow in stature and, for a time, had the highest membership of any club in South Wales. Distinguished golfing visitors included Peter Alliss, Dai Rees and Dave Thomas for an exhibition match in September 1969 on the day following the famous Ryder Cup match at Birkdale in which Tony Jacklin was 'given' his awkward putt by Jack Nicklaus to halve the match. Tony Jacklin himself visited Radyr to conduct a golf clinic in 1979. The club itself has produced a number of outstanding amateur players. To date, Radyr can boast 11 men and 10 women who have represented Wales. Bert Winfield was the club's first International representing Wales in 1912-13. He was better known as the full back in the Wales rugby team which famously beat the 1905 All Blacks. Rhys Gabe and Gwyn Nicholls were also Radyr members who played in that match at Cardiff Arms Park. Jeff Toye represented Wales on 44 occasions between 1962-1978; John Jermine won over 20 caps between 1972-82 and again in 2000, as did Alastair Jones between 2009-13. These three are also the Club's only winners of the Welsh Amateur Championship - Jeff Toye won it twice in 1969 and 1975; John Jermine became the oldest-ever winner in 2000 and Alastair Jones was Welsh Champion in 2010. Philip Price, who went on to win Ryder Cup fame and enjoyed a distinguished career on the European Tour, turned professional after winning the Club Championship at Radyr in 1989. In 2002 Radyr Golf Club celebrated its centenary. Fittingly Jeff Toye was Captain in what was a memorable year for the club. The BBC's 'Any Sporting Questions' and 'Gardeners' Question Time' were both broadcast from the clubhouse. A new Centenary Trophy for all members was inaugurated and a lavish Centenary Ball was held at Cardiff City Hall, attended by over 400 members and distinguished guests. In his address, the Captain of the R&A, wished Radyr Golf Club as much success in its second hundred years as it had achieved in its first.